After all the heartache and difficulties it's great to be able to have some fun. It's been two years since I've touched this blog. Not the longest stretch I've had but pretty significant. These past two years have been filled with enormous upheaval and change. 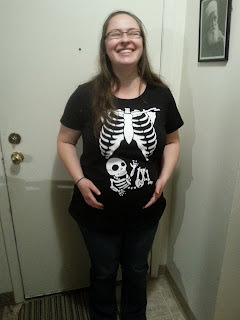 At the time of my last post I was in the early stages of a pregnancy that had not been announced. It didn't last. A miscarriage happened near the end of 2015. My father continued to decline in early 2016 and, eventually, we were given the news that the cancer had transformed into a more aggressive kind of cancer. Six days later we said goodbye and he passed away to the Abha Kingdom. While his death was peaceful, the following months were painful and confusing for our family. One of the things that we went through in those months was another pregnancy loss. That pregnancy hadn't lasted as long and the last one but I was drained by the end. Both pregnancies had been achieved through some fairly serious medical intervention so the time, energy, and emotion that went into them went well beyond the weeks of the actually pregnancies. 2016 was a pretty painful year. This year has been a time of trying to put myself back together. A lot of life had been neglected during all that tragedy. It's an ongoing process but at least there has been a break from the avalanche of loss. And after all that, this year has brought a blessing I had started to think I'd never see. I am now six month pregnant.